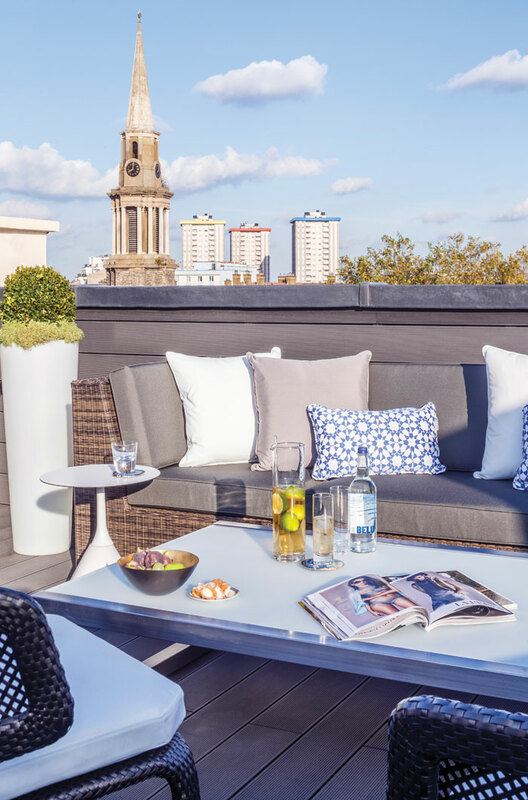 The days of Identikit residential developments are long gone, with expectations higher than ever for personalised, unique spaces that deliver both consumer appeal and meaningful integration with the environment. Meeting these demands requires some creative muscle flexing from architects and designers. While at one end of the developer market keeping costs down is everything, things are a little more complicated than that when designing for the luxury side of the coin. Budgets remain important of course, but coming up with the layout, the aesthetic and specifying the right finishes to appeal to the well-heeled all take the top spot in the list of priorities. Among a diverse set of projects featured in this special focus on the residential sector is a sprawling London brownfield site that is being repurposed to create one of the city’s most desirable residential hot-spots; an ultra luxury development in Dubai that more than maintains the top-end traditions of other builds in the region, and an innovative design in Luxembourg aiming to redefine luxury through good design rather than just a large price. 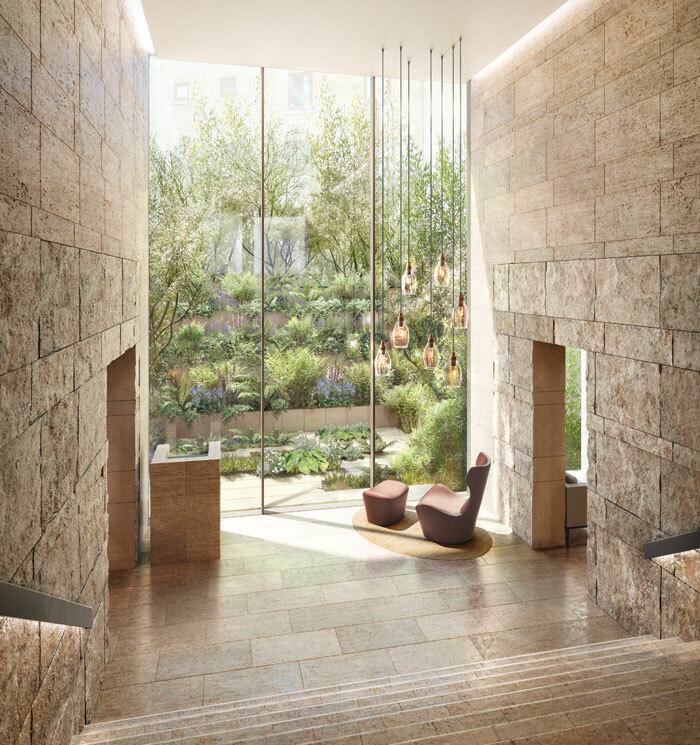 Over the following pages are a number of residential projects that encompass a wide range of development criteria, from high-rise London living to hill-top abodes that embrace their natural surroundings. There is also a selection of key products with the credentials to make all the difference to a residential design scheme. FX: What was the initial design brief for The Mansion and how did you go about fulfilling this? 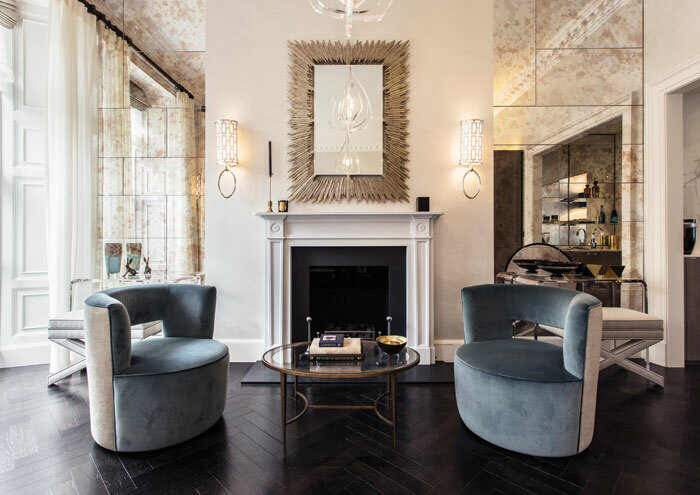 Earle Arney: The initial brief was to create a contemporary version of the Marylebone pied-à-terre that existed in the Edwardian period throughout the area. As the first London project of developer Clivedale, this was also an exercise in brand creation to position our client and differentiate their product in a refined and elegant manner. What were some of the biggest design challenges with this particular project? One of the biggest challenges was to choreograph an arrival sequence that descended to a lower level before residents proceeded to the upper residential floors. Our client wanted every resident to feel like an honoured guest so we created a dramatic entrance hall that led to a textured sunken garden. On arrival the expansive travertine-hewn entrance hall is both unexpected and gracious. The majestic stair cascades to the sunken garden and invites residents to make a dramatic entrance every day. The garden is modelled on the delight of the sunken gardens at Kensington Palace. The edges of the space are defined with layered planting that provides a soft and wispy blurring of its edges. It will be an oasis that welcomes everyone to the Mansion. How involved do developers tend to get in the real detail of projects such as these? Fortunately our clients are very passionate about design. They understand that details matter. Consequently, they immersed themselves into most facets of the project and we were rewarded by being able to partner with them to craft elements, right down to the bespoke door hardware. What is the high-end residential market like in London right now and how does it compare with other hotspots both in terms of business volume and creative implementation? The high-end residential market in London feels like it is potentially rising from the ashes albeit in a new incarnation. 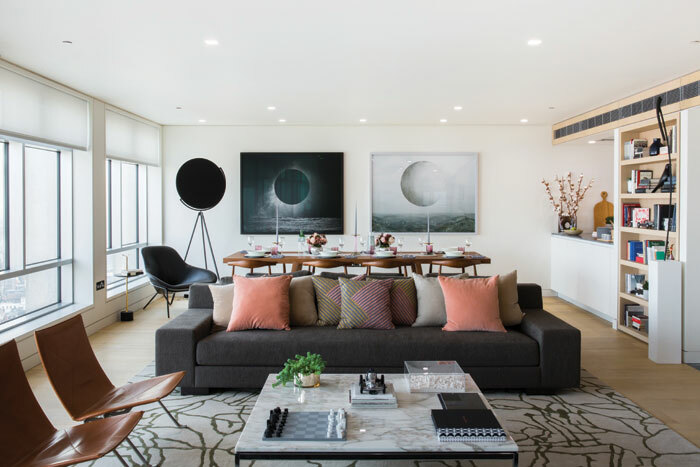 We spent a good deal of time last year resizing a range of large luxury apartment projects and ‘retuning’ them to align with the shifting market. It is early days, but so far this year we have seen an increased enquiry level for such projects – London is clearly a safe-haven for investment and stock is limited. At the same time we are also witnessing increased activity in Zones 3, 4 and 5 as well as city-fringe infill developments. Perhaps the unifying condition across all of these areas is a desire for architectural and interior designs to be authentic and differentiated. The days of prolific sameness, represented most commonly by beige stone bathrooms and kitchens, are gone. What interior styles and materials choices are key within some of the recent residential projects that you have undertaken? We are seeing an emergence of a richer palette of materials as well as an increased interrogation of proportion and spatial sequences. Our work has employed many material types, including raw off-form concrete and Corten steel, in some of our art gallery projects. 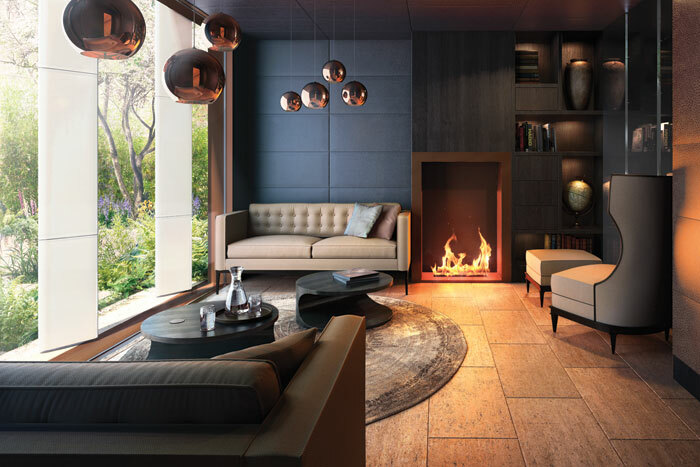 These are now being introduced into residential and hotel projects combined with more refined and bespoke materials and finishes such as bronze and glass-blown ceramics. The combination of such textures creates a richer experience of space. What is it about Arney Fender Katsalidis’ offering as a practice that sets it apart, and how would you define the firm’s philosophy? What sets Arney Fender Katsalidis apart is that we are a ‘global boutique’ practice with a clear purpose ‘to enable people to live, work and play better’. We do this by rigorously focusing only on our three project types: residential/hotels, offices and art galleries. We strive to be the world’s best within these three sectors and, as both architects and interior designers, we design from the inside-out as much as the outside-in. We think there is a tremendous opportunity in London to challenge the status quo and think differently. We are blessed to have great clients and once we have worked together, all our clients return to hire us again. We are very fortunate. Given the wide range of projects undertaken by your practice, how ‘hands-on’ are you personally able to be with projects? We purposely keep our London studio at about 70 people to enable myself and our three London directors to be personally hands-on with every project. We also have very complementary skill-sets. 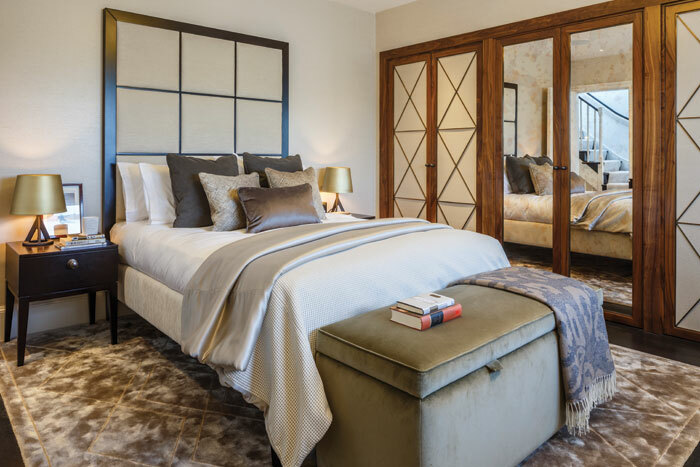 Our promise to our clients is that they will be rewarded with deep-directorial engagement as we partner with them to create beautiful buildings and inspirational interiors. Tell us about any other residential projects that you are currently involved with, and which you are especially excited about? We are designing an 80-storey tower in New York, which is a fascinating process and a wonderful project. At the same time we are designing a City fringe infill project that knits together existing buildings and breathes new life into a neglected part of London. We are fortunate to be working across such a diverse range of architectural and interior design scales. FX: What were the biggest design challenges in this project? Rupert Martineau: Converting the stunning Grade I Listed property in a prestigious location into an inviting, open and functional 21st-century home. The previous owner had abandoned the property at Regent’s Park several years prior to our client buying it. What were some of the key specification choices? The use of comfort cooling/heating units in all the rooms meant considerable efforts went into coordinating services while preserving the integrity of the spaces. This specification meant the house had a broader appeal to international buyers and allowed us to design the property with a more current set of parameters that are now standard in a property of this nature. Which one aspect of the completed scheme are you personally most pleased with? The way that we have faithfully restored a listed property with a modern and relevant narrative. The roof terrace and the media room particularly are fun; given the space available. The element we frequently like to show off is the seamless link of the formal reception and the dining room, and the light, elegant furniture and fabric scheme that enhances the sense of space and connection with the park. More generally, what are some of the main demands from developers and/or homeowners at the top end of the market right now? Inevitably the demands of developers and homeowners do not always match, but the former has to be sensitive to the market and buyers are being quite demanding about M&E specification, which can have a considerable impact on costs. However, homeowners are also looking for connectivity, environmental responsibility and seamless functional spaces. They want to keep things straightforward when it comes to controlling their living environments and like to have the BOH areas accessible separately. The FF&E treatments are also critical. Our clients are constantly looking for interesting and collectible items that they can display. 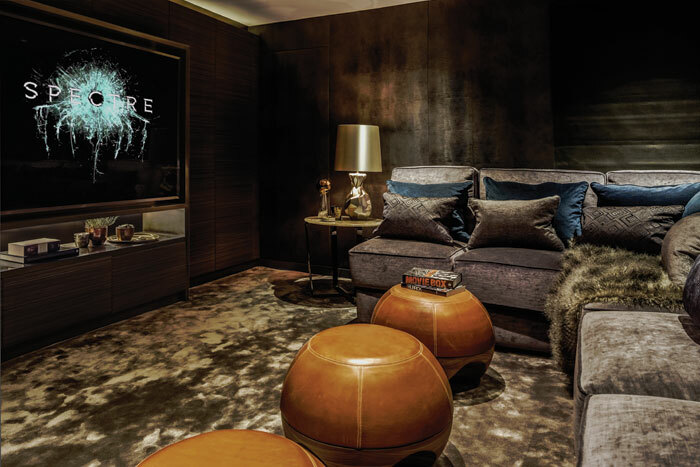 Lighting is a very important consideration if clients want to be able to enjoy their artwork and it is always worth investing in coordinated control systems such as Lutron. What would you say are the key factors in a successful partnership between designer/architect and a developer? It is always down to constant and open communication and bringing in relevant skill sets as early in the brief development and concept design state as possible. At SHH we have a large team of in-house Architects and Interior Designers as well as a CGI team and considerable experience in graphics – a complete turnkey design capability. We have a close knit team structure that ensures that the shell and core, interior architecture and interior designs/FF&E are fully coordinated. The in-house design process is structured around incorporating all these elements as holistically as possible while also working closely with outside specialist consultants. FX: What was the design brief from the developer and how detailed was the collaboration throughout? Tim Bowder-Ridger: Our brief was to reconnect Centre Point Tower to the ‘spirit’ of the time when it was built in the mid-Sixties. London was transforming itself from a gloomy post-war capital into a fashionable, exciting and vibrant city, and Centre Point Tower was a highly visible manifestation of that transformation. Our design seeks to reinforce the building’s personality – so intrinsically connected with the era in which it was built – while making it fresh and relevant to 21st-century London. 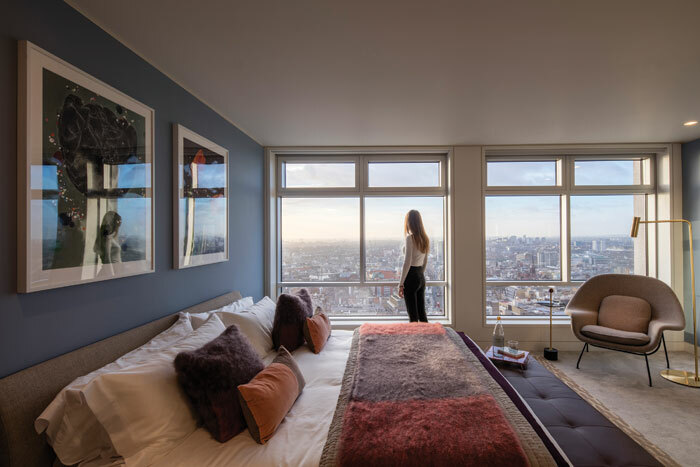 Throughout this project we have collaborated extremely closely with our client, Almacantar – and in particular with Mike Hussey and Kathrin Hersel – to ensure that their aspirations have been met in terms of how the design of the apartments offers residents the chance to engage with London in an extraordinary way. What are the main design challenges with a project such as this? We faced two main challenges. Firstly, the physical challenge of working with a 50-year-old building containing a lot of variables and unknowns, especially in terms of addressing the underlying structure. While we had access to some of the original plans and drawings, we needed to deal with the peculiarities of what was a very radical construction method long before the precision of computer-aided design and construction. Secondly, we needed to ensure that our approach did not undermine the essential thinking around Centre Point Tower’s original design. Fortunately, the building’s floorplates (approximately 30m x 16m at their widest) intended for office space in Sixties’ London) are ideally suited to modern-day residential use. Nonetheless, we have fundamentally redesigned the way in which the building meets the ground and engages with the sky. Centre Point Tower was originally designed around vehicle access rather than people access, so we needed to reorganise the building’s relationship to ground level. This included relocating the heroic external staircases inside the building to create approaches that are more welcoming and open and to give Centre Point Tower a clearly defined entrance at ground level, which it never had previously. We have also relocated plant from the top of the building to the basement, allowing us to add a duplex apartment with double-height spaces. For this kind of development, the external views can be the star of the show, so how can the interior help to enhance this aspect of the space without ‘competing’ too much? We always adopt an ‘inside out’ approach to residential design. There are no other towers in close proximity to Centre Point Tower and views from the building are therefore unique in their panorama. We wanted our design to embrace and enhance these views, avoiding anything which might compete with them. To achieve this, we have maximised the fenestration to all of the habitable spaces by placing smaller supporting rooms – kitchens and bathrooms – in the centre of the plan, together with all the services. Each habitable room is placed around the edge of the plan and has a pair of tall windows, each of which are 2.5m wide. These windows ‘frame’ and accentuate the breathtaking views that (unusually for a building so centrally located in a major world city) exist across most of the height of the building. 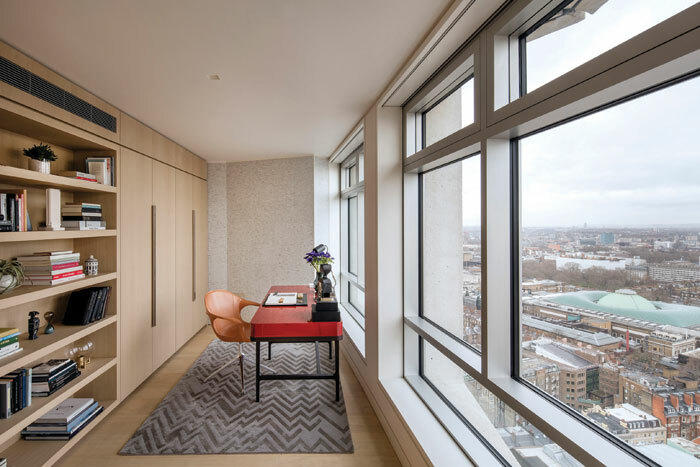 Even on the lower floors the closer views of London are very generous and enable residents to become observers of the city and engage with its energy from the elevated comfort of their apartments. What were the key materials/product choices and the thinking behind them? Our selection was greatly inspired by the discovery of remnants of the original materials from Centre Point Tower, particularly some beautiful marble cast in terrazzo, which reflected and emphasised the building’s graphic approach to architecture. We have endeavoured to follow that same spirit throughout the design, even down to bespoke ironmongery, referencing some of the original ironmongery but also the geometry and texture of the building. Our design employs contrasting tonal palettes as a way of creating a journey from private to public. We have employed a dark palette across the internal spaces, while using brighter, lighter palettes to enhance the lightness of the habitable spaces and the feeling of being in the skyline. We have made generous use of both black-stained and blonde-limed oak timber throughout the scheme as well as natural stone and terrazzo. This approach is consistent with the graphic nature of the building, and creates apartments with personality as well as peacefulness and tranquility. Quite a contrast to the buzz of Soho and Oxford Street below. 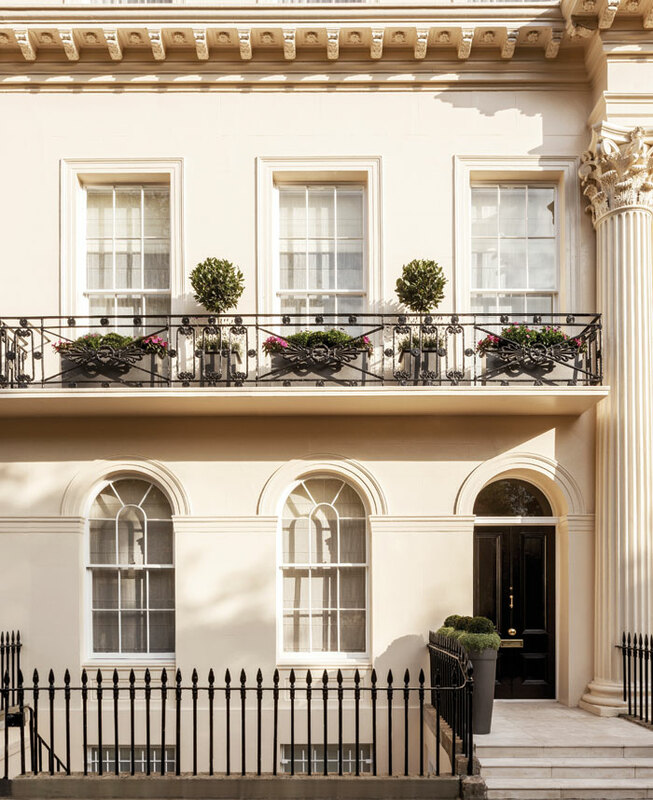 What does the future hold for high-end residential developments in London and elsewhere? Are lifestyle changes drastically altering the thinking and implementation of the design process? The residential marketplace has become increasingly sophisticated. Among international buyers in particular, it is clear that a connection with ‘culture’ is a strong selling point for any new development. This is evident in other parts of the world where Conran and Partners is working, especially in Asia, where ‘point of difference’ is now often an intrinsic part of the value of a development. Buyers are becoming less comfortable with ‘flashy’ superficiality in design; they want something which brings them as close as possible to the ‘real thing’ with a sense of place, while still offering the best in contemporary living. There is nothing we enjoy more than reinventing buildings that have as much grace and potential as this one. Working with heritage buildings is at the heart and soul of what we do.